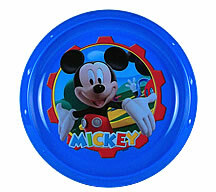 8.5-inch durable plastic plate. Dishwasher safe (top rack). BPA free.